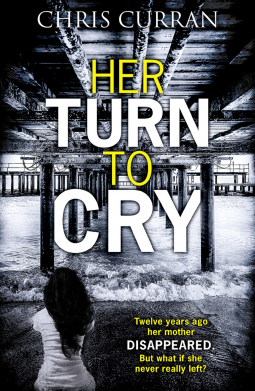 Her Turn To Cry is a mystery thriller, and a very lovely one at that. Joycie Todd was abandoned by her Mother and her Father committed suicide, she has no-one in the world except for Marcus Blake, her friend, occasional lover and photographer. Joycie Todd is no longer Joycie, but she is Orchid, a top model, whose face adorns magazines and fashion shop facades. When she learns of an old friend of her Mother and Father's passing, she attends the funeral and is shocked to be left something by the deceased. It stirs something deep inside Joycie, the mystery of her Mother's disappearance. Joycie has always been certain that her Mother would never just up and leave her, but she has never had any proof that anything else happened to her. As Joycie begins to delve into the past, she realises that she and Marcus may be in danger. But she doesn't care. She is determined to get to the bottom of her Mother's disappearance no matter what the consequences. Her Turn to Cry is available from 8 July 2016. You can pre-order it now via Amazon online and Killer Reads.